The clock is ticking down to the arrival of a potentially historic blizzard in the D.C. area, with just hours remaining until the first flakes begin to fall in the metro area around noon. The storm could dump as much as 30 inches of snow on the region before it's all over, with 1 inch expected by 3 p.m., 4 inches by 7 p.m., and 12 to 18 inches on the ground by sunrise Saturday. And it won't end there -- snow could fall continuously in the region for 36 hours straight. Storm Team4 says projected snowfall totals are ticking steadily upward, which could make it the highest snowfall in D.C. history. Storm Team4 said Thursday night that some parts of the District, Maryland and Virginia could see as much as 3 feet of snow. "Earlier, I had 18 to 24 [inches]. I'm now going 20 to 30 inches of snow, plus," Chief Meteorologist Doug Kammerer said. "This is a monster of a storm." Storm Team4 Meteorologist Lauryn Ricketts has the forecast for Jan. 22, 2016 and the blizzard ahead. Leaders in D.C., Maryland and Virginia declared states of emergency on Thursday, and a snow emergency went into effect in the District at 9:30 a.m. Friday. A snow emergency allows transportation workers to clear snow emergency routes curb to curb. Violators face a $250 ticket, a $100 tow and a $25-per-day fee until they pick up their vehicles. "By 3 o'clock today, you need to be where you're going to be throughout this storm," said Christopher Geldart, director of the District of Columbia's Homeland Security and Emergency Management Agency (HSEMA). Geldart says residents should be prepared with 72 hours of supplies. A blizzard warning has been issued for the D.C. area from 3 p.m. Friday until 6 a.m. Sunday, meaning a snowstorm with winds exceeding 35 mph is expected. Wind could gust up at 30 to 50 mph in the D.C. area, with mph gusts toward Interstate 81. Once the snow begins, it may not relent until Sunday morning, meaning you may need to stay wherever you sleep Friday. The impact may tear down power lines and force road closures, so if you're not ready yet, you should make last-minute preps now. The snow will be fairly dry at first, getting wetter and heavier as the storm continues. The winds and the weight of the snow could create power outages. Power outages are more likely east of Interstate 95, which is expected to get wetter, heavier snow. Many of you are stocking up on supplies, and local leaders say they are ready for the storm. News4’s Shomari Stone and Jackie Bensen hav our team coverage. The snowfall is expected to end by Sunday morning, but it likely will take awhile for the region to dig out. D.C. Public Schools will be closed Friday, and government offices in the District will close at noon Friday. The Montgomery County government will also close at noon for non-essential workers. Virginia Gov. Terry McAuliffe declared the state of emergency Thursday morning. The declaration authorizes state agencies to assist local governments in response to the storm. 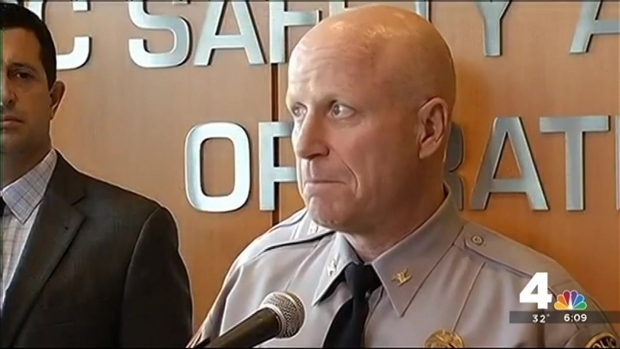 McAuliffe said residents should be prepared for travel disruptions and possible power outages. "All Virginians should take the threat of this storm seriously and take necessary precautions now," McAuliffe said. 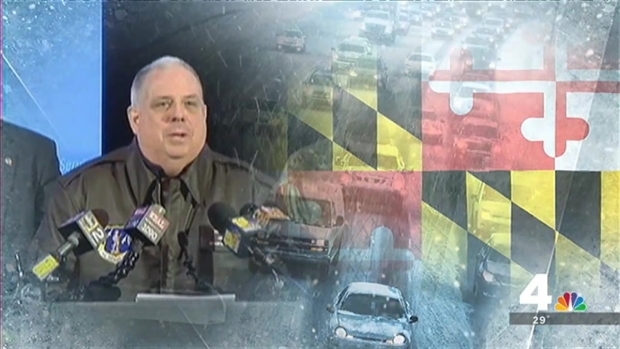 A state of emergency went into effect in Maryland at 7 a.m. Friday. The Maryland National Guard will be on standby, Gov. Larry Hogan said. A snow emergency for the entire state will go into effect at noon Friday. To help firefighters, you should clear snow about 3 feet around your nearest fire hydrant. Storm Team4 is expecting 20 to 30 inches of snow during this storm -- and that range would put this storm firmly in the top five biggest snowfalls of all time for the region, possibly making it all the way to first place. For reference, the December 2009 and February 2010 snowstorms commonly called "Snowmageddon" and "Snowpocalypse" clocked in at 16.4 inches and 17.8 inches, respectively. If we get 24 inches of snow, this storm would be the second-biggest snowstorm of all time, coming in only after 1922's devastating storm, also known as the Knickerbocker blizzard. During that storm, heavy snow caused the roof of the Knickerbocker Theatre to collapse in Adams Morgan, killing 98 people and seriously injuring 133. If we get "just" 18 inches of snow, this storm would unseat the infamous February 2010 snowstorm from its 4th-place spot. Northern Virginia Bureau Reporter David Culver checked in with officials in Fairfax and Culpeper counties Thursday as they prepared for the winter storm. In other words, it's highly likely that this snowstorm will be one we'll be talking about for a long time. Download our free weather apps for iPad and iPhone. You can also follow us on Twitter andFacebook, and sign up for our email newsletters.